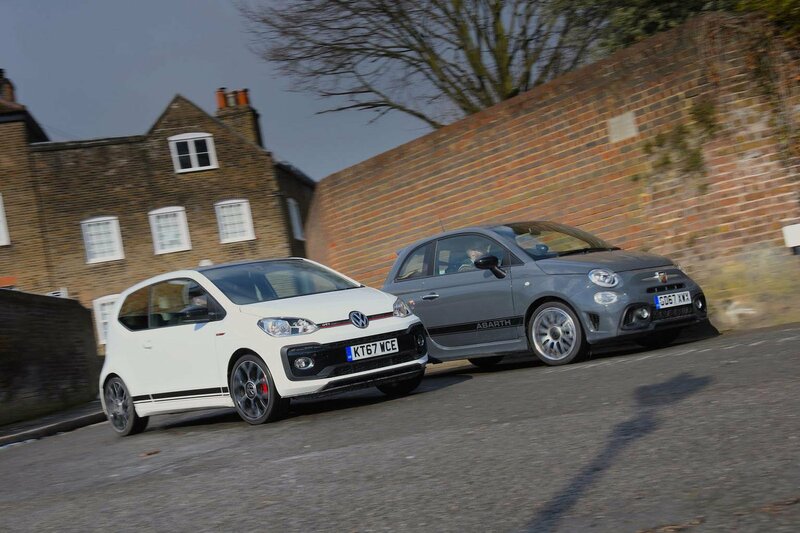 New Volkswagen Up GTI vs Abarth 595 | What Car? 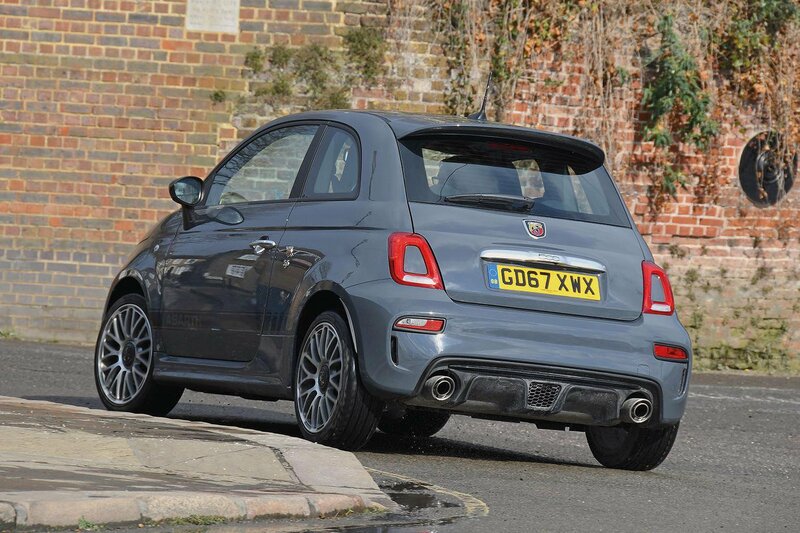 The Abarth 595 has been well beaten. 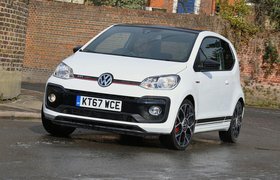 It may be quicker than the Up GTI, but it has too many flaws to overlook. We’d forgive its cramped rear and suspect driving position if it handled amazingly, but the faster you go, the less composed it becomes. It’s a shame, because a bit more front-end grip, less intrusive traction control and better steering feel would make a big difference. The Up GTI’s victory is a convincing one. 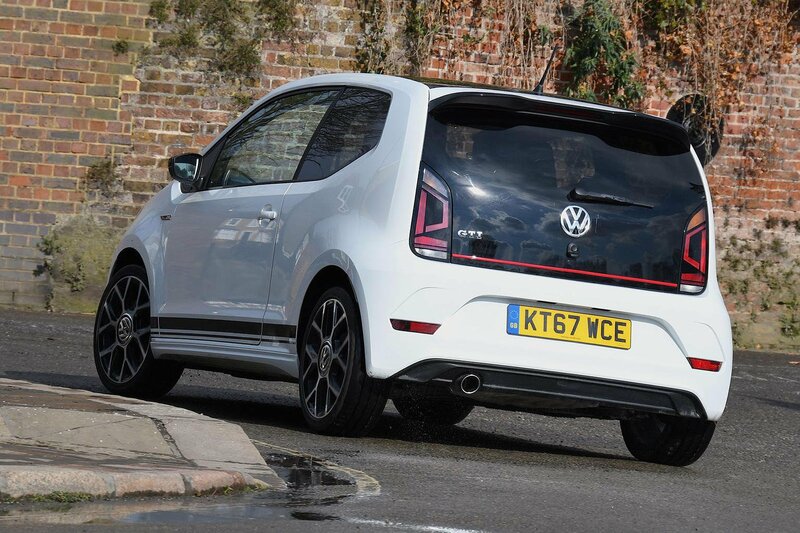 Its extra practicality, comfier ride and better driving position, while not the most important things for a hot hatch, make it far more pleasant. And it combines them with precise steering and composed handling. Just bear in mind that it’s not as effervescent as you might expect. Many thanks to Thames Motor Group Tunbridge Wells for the loan of the Abarth 595.